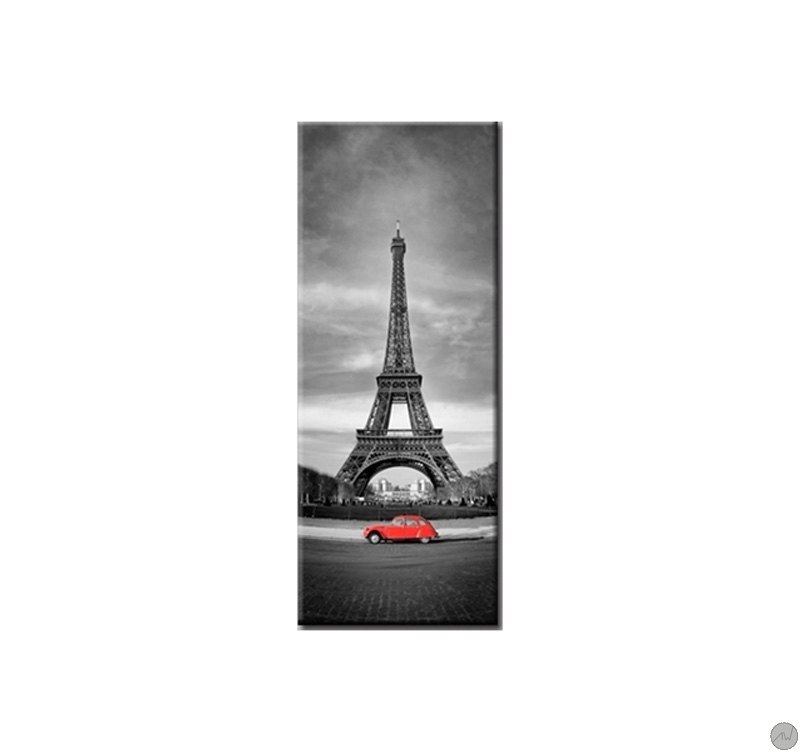 This wonderful modern wall decoration of the Eiffel Tower offers a striking contrast between gray and red colors. 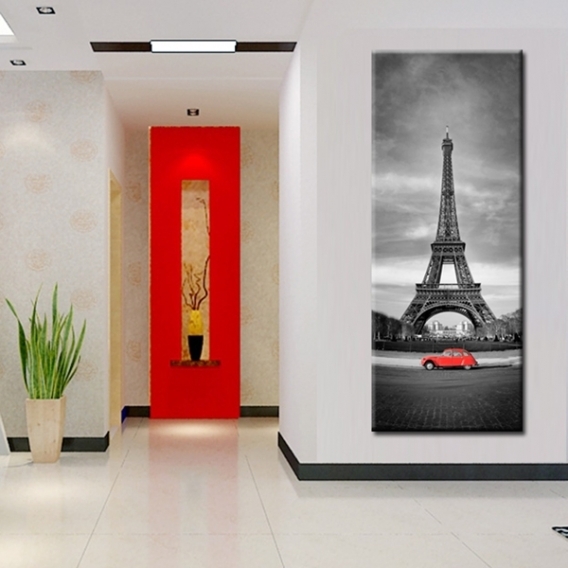 This pop art canvas is 40 x 100 cm (15.75 x 39.37 po). 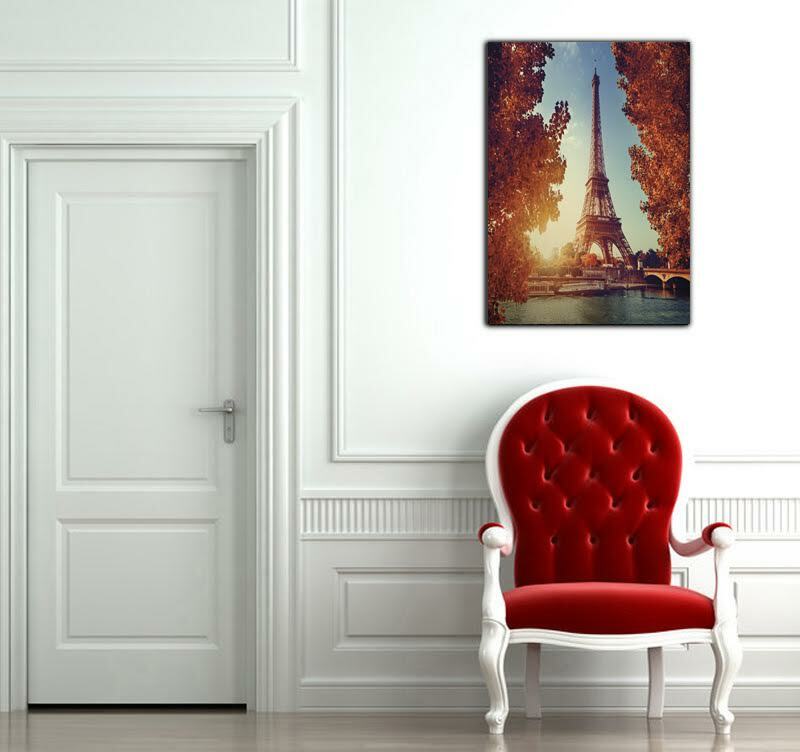 Capture all the charm of Paris in one contemporary art print. 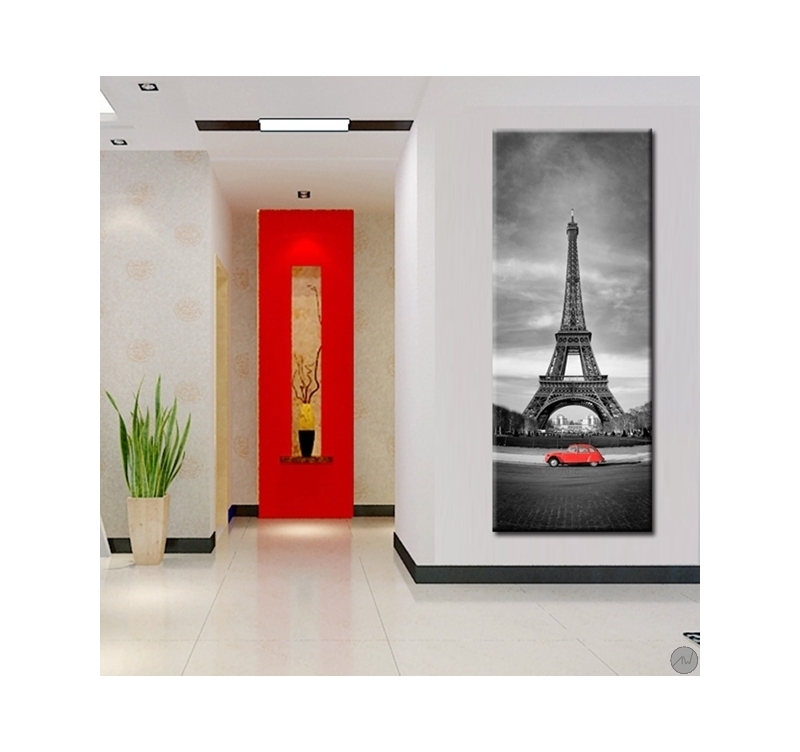 With its highly contrasted and modern style, this decorative canvas print represents the fabulous Eiffel Tower with, in the foreground, a bright red Citroën 2CV, one of the symbols of France. With its uncommon verticality, this wall decoration will give a brand new look to your living room walls. All our decorative art prints are printed on cotton canvases and stretched over a frame made of Canadian pine wood, ready to hang. The contemporary art prints are delivered with cardboard corners and hanging hooks. All our photos on canvas are treated to withstand UV and moisture to ensure optimal rendering and lifetime.